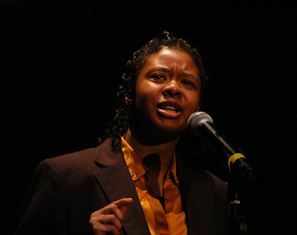 From a competitive field of over 6,000 students from across the state, Sabria White, a student from New Century Technology High School in Madison County, was selected as the 2013 Alabama Poetry Out Loud State Champion on Monday, February 18, during the Statewide Finals at the Alabama Shakespeare Festival (ASF). 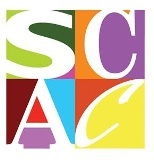 The event was held in partnership with the Alabama State Council on the Arts, the Alabama Alliance for Arts Education, ASF, and the Alabama Writers’ Forum. White recited “Calling Him Back from Layoff” by Bob Hicok, “Dover Beach” by Matthew Arnold, and “The Way It Sometimes Is” by Henry Taylor. White will advance to the National Finals to compete with fifty-two other champions from the United States, the District of Columbia, Puerto Rico, and the U.S. Virgin Islands. She will receive an all-expense paid trip (with a chaperone) to compete in the National Recitation Contest that will take place in Washington, D.C., on April 29-30, 2013. The honor also carries a $200 cash award. New Century Technology High School will receive a $500 stipend for the purchase of poetry books. Ellen Grappe, a senior at Holy Spirit Catholic High School in Tuscaloosa, was named Runner-up. She will receive a $100 cash award, and her school will receive $200 for the purchase of poetry books. 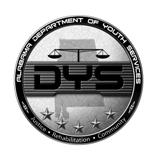 Megan Zartman, a senior at Auburn High School; Jelecia Patterson, a freshman at Austin High School in Decatur; and Jackson Hall, a senior at Loveless Academic Magnet Program High School in Montgomery received Honorable Mentions. Alabama has added its own unique element to the program, providing an opportunity for students to recite their own poetry. This year’s winner in the Original Poetry Competition—underwritten by the Alabama Writers’ Forum—was Bonny Chen, a senior at Auburn High School. She recited her original poems “Legs” and “The Virtue of Triangles.” The honor carries a $200 cash award. Second Place ($100) went to Ameerah Sanders, a senior at Booker T. Washington High School in Montgomery. Jackson Hall, a senior at Loveless Academic Magnet Program High School, received Honorable Mention. Poetry Out Loud is a national arts education program that encourages the study of great poetry by offering educational materials and a dynamic recitation competition to high schools across the country. The competition uses a pyramid structure. Beginning at the classroom level, winners advance to a school-wide competition, to a regional competition, then the state competition, and ultimately to the National Finals in Washington. The program seeks to foster the next generation of literary readers by capitalizing on the latest trends in poetry—recitation and performance. The program builds on the resurgence of poetry as an oral art form, seen in the slam poetry movement and the immense popularity of rap music among youth. Poetry Out Loud invites the dynamic aspects of slam poetry, spoken word, and theater into the English classroom. Through Poetry Out Loud, students can master public speaking skills, build self-confidence, and learn about their literary heritage. Dana Gioia, partnered with the Poetry Foundation to design a program that would bring the love of poetry as it was meant to be, as an oral art form, back into the lives and curriculum of high school students across the nation.